Sometimes during the beggining of the year, I am so tired and cold, and this is why there is nothing better for me than coming home from work and preparing a quick warm cream soup. You just fry the onion, throw in the veggies, cook and mix all together. Such an easy and tasty dinner! 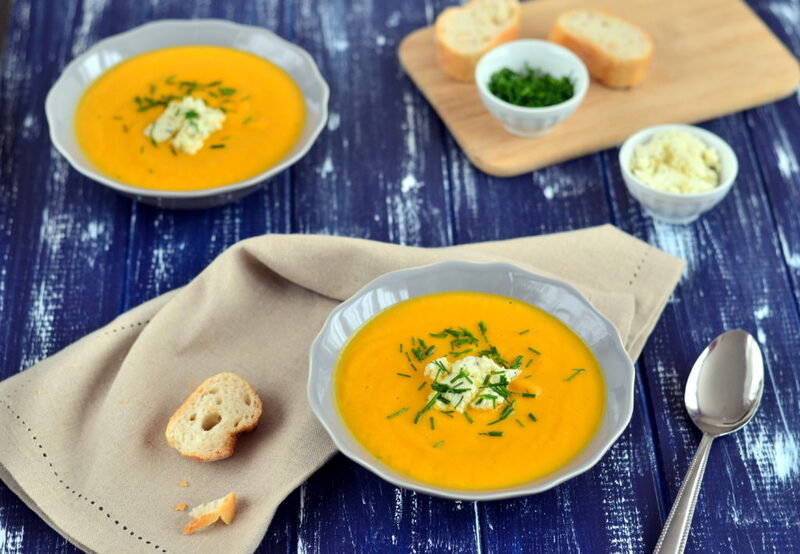 My creamy carrot & Boursin soup warms and cheers you up with its shiny orange-yellow colour. 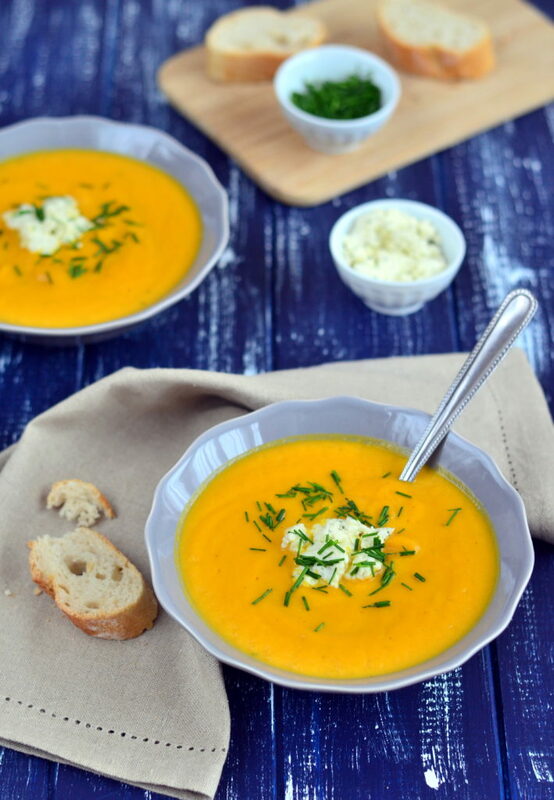 I used cream cheese Boursin garlic and fine herbs, which gives this carrot soup a special taste. If you cannot get this cheese where you live, or if you prefer homemade option, you can also make your own Boursin – here is an easy recipe. Heat the butter in a large pan, add the onion, fry for 5 minutes until soften. Add the carrots and stock, bring to boil and then cook for 20 minutes on a reduced heat. Add ¾ of the Boursin and mix all together with hand mixer until smooth. 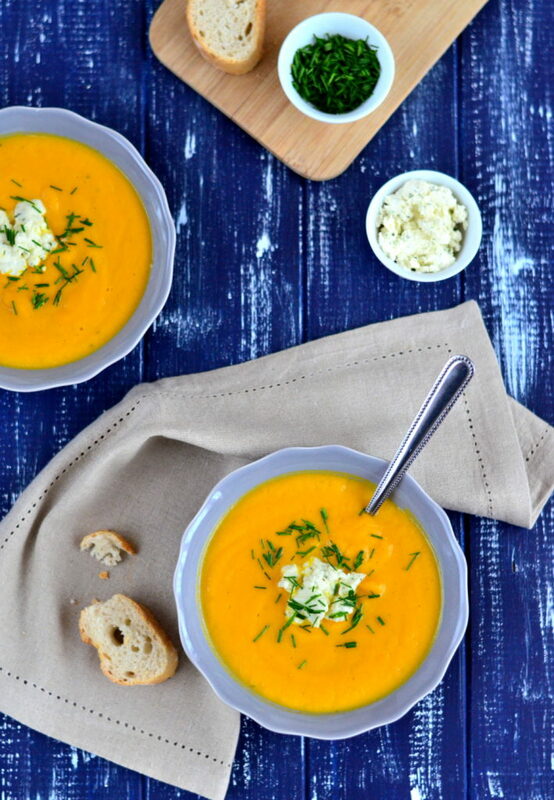 Pour into 4 bowls and decorate each one with a tea spoon of the rest of Boursin and chives.